How to fix PFN_LIST_CORRUPT BSOD on Windows? Home »	Fix » How to fix PFN_LIST_CORRUPT BSOD on Windows? Issue: How to fix PFN_LIST_CORRUPT BSOD on Windows? Does anyone know what contributes to the PFN_LIST_CORRUPT BSOD and how to fix it? Sometimes this BSOD is replaced by IRQL_NOT_LESS_OR EQUAL. PFN_LIST_CORRUPT is one of the Windows Blue Screen of Deaths (BSOD). People come across it quite frequently, but the good news is that it does not fall for the group of fatal errors. The PFN_LIST_CORRUPT error indicates a problem related to page frame number (PFN). The latter is rendered by PC’s hard drive for locating all files on the physical disk. In most of the cases, as we have already pointed out, the PFN_LIST_CORRUPT BSOD is triggered by PFN corruption. However, it may also imply problems related to RAM or device drivers. Despite the core of the error, PFN_LIST_CORRUPT BSOD can be fixed quite easily. 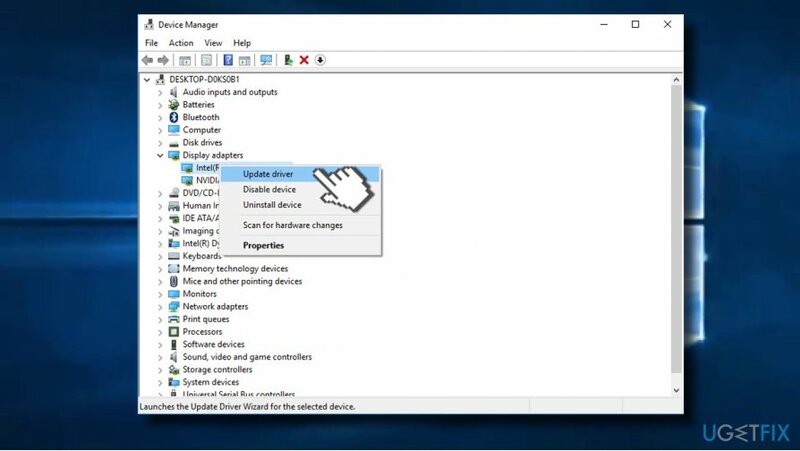 Usually, it’s enough to update drivers, check RAM for corruption, disable or change antivirus tools, and similar. 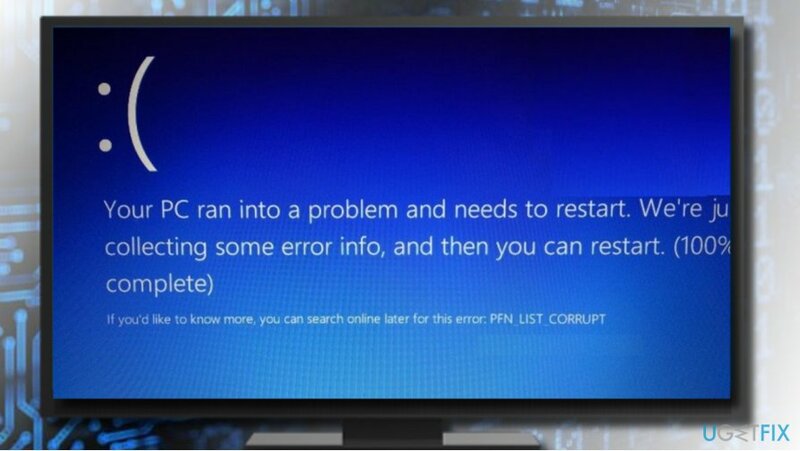 In this post, we’ll try to provide as many applicable PFN_LIST_CORRUPT BSOD fixes as possible. NOTE: if you receive the PFN_LIST_CORRUPT error in rotation with the IRQL_NOT_LESS_OR EQUAL BSOD, please refer to this post for find out the fixes of the IRQL_NOT_LESS_OR_EQUAL. IMPORTANT: finish and save any work that you were performing with your PC. The following method requires system’s reboot, so you may lose any unsaved files. Type mdsched.exe in the Run and press Enter. 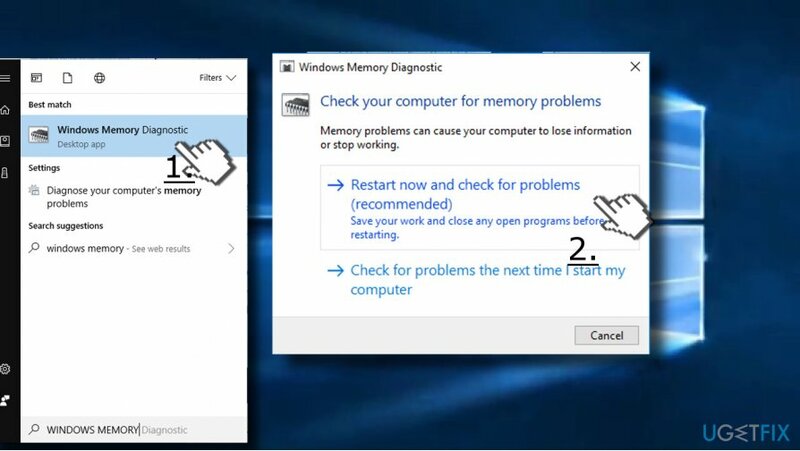 Once Widows Memory Diagnostics window shows up, select whether you want to Restart now and check for problems or Restart later and check for problems the next time. We recommend restarting immediately to isolate the culprit of the error. The system should restart automatically. Paste the chkdsk /f command and press Enter. The system should perform the scan and fix detected problems automatically. 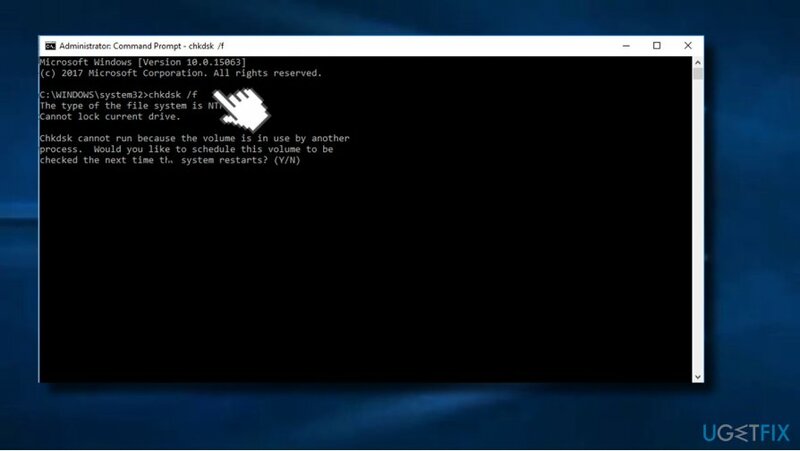 Command Prompt may indicate the fact that your hard drive is currently in use. That’s normal because it’s a fact that you are now using your PC. Press Y and hit Enter to perform a scan during system’s reboot. If RAM and hard drive check did not help to fix PFN_LIST_CORRUPT BSOD, navigate to Device Manager and check if there’s no outdated or corrupted device drivers. Malfunctioning drivers should be marked with a yellow exclamation mark. Expand each device category and check the drivers. If any of them is marked with an exclamation mark, right-click on it, and select Update driver. Type Verifier and select Create standard settings. 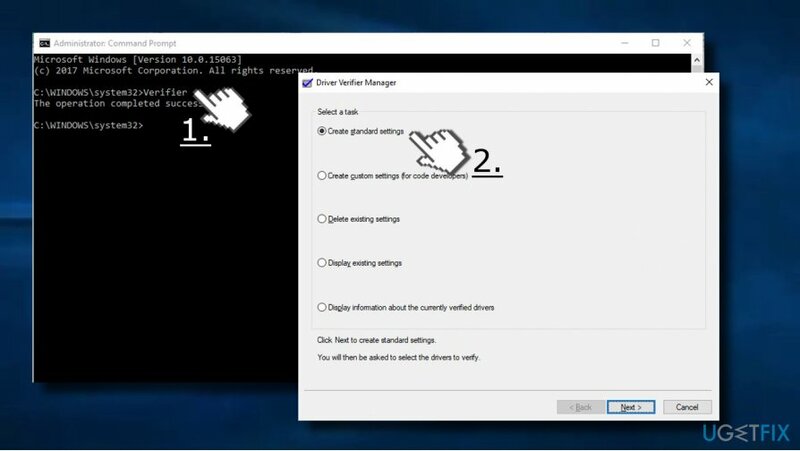 Now click Automatically select all drivers installed on this computer and click Finish. As soon as Windows finishes the scan, restart your PC. The reboot may last longer than usually, that’s normal. System Restore is a feature that was introduced with Windows 10. It allows creating an image of the current system’s state, which can later be enabled in case the system crashes or encounters errors like PFN_LIST_CORRUPT. Open Windows search and type System Restore Point. Select Create a restore point option. Click on System Restore button and hit Next. 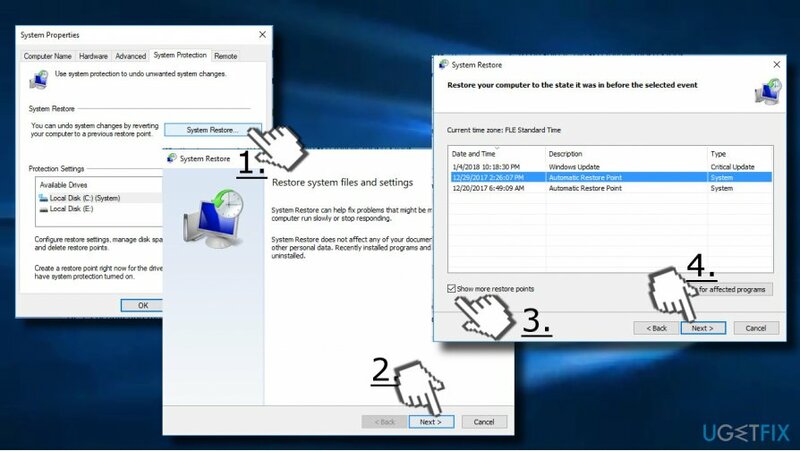 If the only Restore point you see on the list has been created before the system’s problems started, mark a check box saying Show more points at the bottom of the window. Now select the point that was created before the error occurrence and click Next. Now you’ll have to wait for the restore to be completed. This process may take some time. According to people’s reports, the PFN_LIST_CORRUPT BSOD may be triggered by third-party antivirus tools. Therefore, if you are using Avast, Norton, Sophos, Malwarebytes or any other third-party security tool, try to disable it or uninstall temporarily. At the same time, disable or remove apps responsible for PC’s optimization, adblocking, and other functions related to PC’s security and maintenance. ^ Random Access Memory (RAM). Techopedia. Tech insights.